Holiday travel with family is fast approaching. Family travels can mean the pups Sadie and Sammy are coming along, too. How do you keep you and your pets both s afe and fashionable…find out at our 1st Kurgo Expo and sales event. We will trick out our Leash on Life delivery vehicle with all things Kurgo travel. 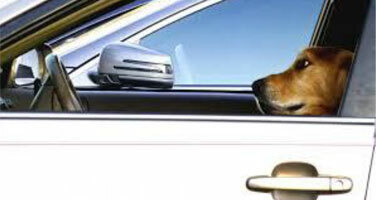 You will see seat covers, booster seats, tipless water bowls, crash tested dog harnesses and more. The best part, everything will be on sale! Sunday November 12th in Iowa City noon-4pm. Winter walks and travel mean Kurgo Loft coats are a necessity. Now you and your pooch can enjoy the same coziness. 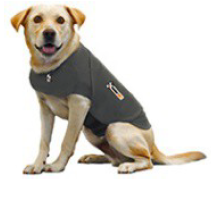 Get a Kurgo loft coat for your dog and you can get a matching Loft vest for yourself (while supplies last). Or, attend our event (no purchase needed) and enter to win a vest for yourself. Why Kurgo? 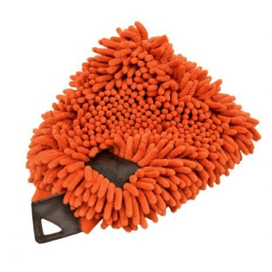 They make quality products and check out their staff web site page, it will make you smile. 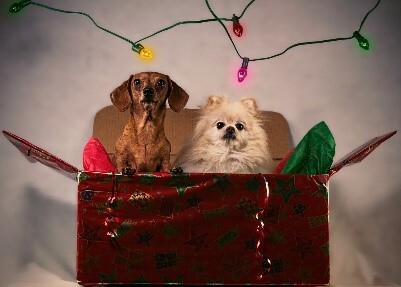 Thin king of a holiday photo of the family pet for you or someone on your list? Give us a call to set up an appointment with Laurie Haag for a photo session. 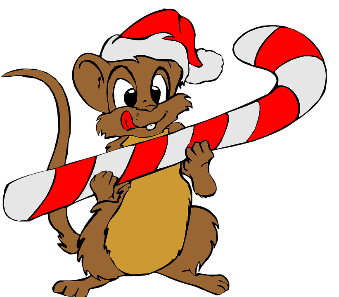 November will be the last session before Christmas. Sorry to say, Santa will not be here this year for photos with your pet. We will do a photo fundraiser for the IC shelter in the spring. Don’t forget we also have gift certificates that can be used for photography sessions anytime during the year. 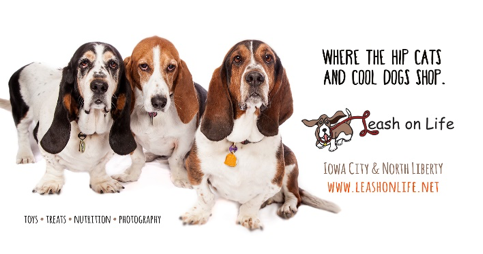 Laurie’s Dogs of Iowa City calendars will soon be available as well as holiday cards. 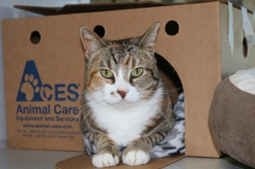 Back by popular demand is our evening customer appreciation sale and fill the animal shelter donation box sale. This year, you can come twice! We will celebrate Thursday December 7th in our North Liberty store 5pm-8pm. Our Iowa City store sale will be Sunday December 10th noon-4pm. 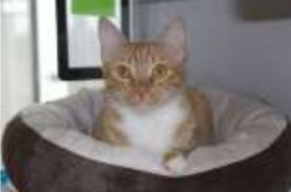 Irene is a great gal between 3-6 years old looking for a home. She would prefer to be in an only cat home. Who can say ‘no’ to that face! 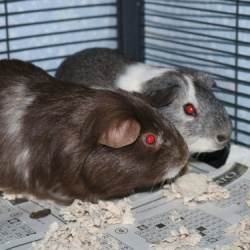 If you are interested in Ire ne or would like to learn more about the animals at the Center, information is available through the Iowa City Animal Care & Adoption Center, call (319) 356-5295 or visit www.icanimalcenter.org . 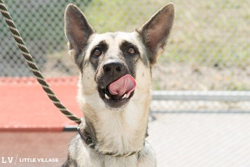 Join us for a mobile adoption day in North Liberty on Sunday October 15th from noon-2. Great pets from Last Hope Animal Rescue will be joining us, come say hello. Santa’s elves have told us there will be NO Santa photos this year. Too many conflicts at the north pole to make it to Iowa City. But, rumor has it a fun-raiser photo session is in the works for early spring. Large cat furniture is back. Our selection has been thin, but both stores are stocked. Ms. Whiskers can watch those beautiful fall sunsets from a new height. Thanks to those who joined us at the amazing Cyclo-cross World Cup last month. The inaugural Maxx’s doggy run sponsored by Nulo, was a hit and has been requested for next year. Those who made it to the booth received Nulo coupons. If you didn’t make it out, now is your chance to “treat” your pup to newly released Nulo treats. A free bag of soft training treats or jerky with every bag of Nulo purchased this month. What an excellent way to celebrate harvest! 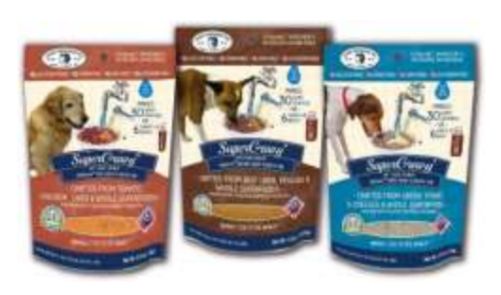 Fromm has several new flavors of canned food for dogs and cats. All Fromm cans are made in their very own cannery in Wisconsin. We will be having sales on cans throughout October, so come in to take advantage of these great deals and new taste treats! Have you seen the light show in town? If not, as the sun starts to set look around your neighborhood. 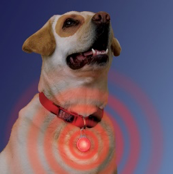 You can now outfit your dog to illuminate your early morning or evening walks with their very own clip-on light. These little lights pack a bright punch. Need something more than the clip-on light? Try the Nitehowl collar, with this ring around the Rover, everyone will see exactly where your pooch is from any angle. Want someth ing more subtle? 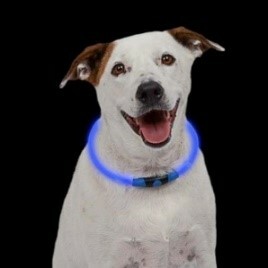 Check out our new reflective collars and leashes. We have a plethora of treat dispensing toys for dogs, but until recently there has been a dearth of such toys for cats. 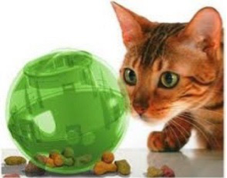 But no more… we have many locally made cat puzzle toys/food dispensers. These rock and roll to keep your cat busy working to get the food to fall out. Our Snuggles quickly figured out how to push this around the room to get her breakfast. 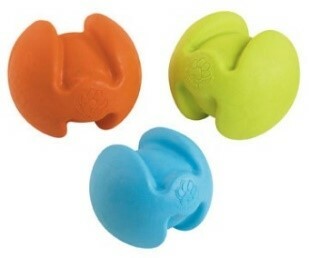 These toys are great for the cat that eats too fast or for the one that yowls at you continually to be fed. Stop in and pick up an info sheet on how these toys help with feline mental health. 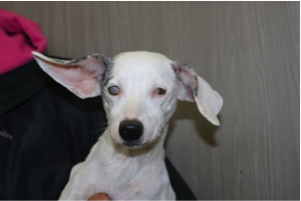 Frankie is a senior gal looking for a home. If you are interested in Frankie or would like to learn more about the animals at the Center, information is available through the Iowa City Animal Care & Adoption Center, call (319) 356-5295 or visit www.icanimalcenter.org . Area shelters, including our own Iowa City Animal Care and Adoption Center have taken in dogs from hurricane Harvey. The support of the community has once again been overwhelming. Fromm Family Foods & Leash on Life joined together to match food donations. By working together with you, we have been able to provide enough food for the Adoption Center’s immediate needs. 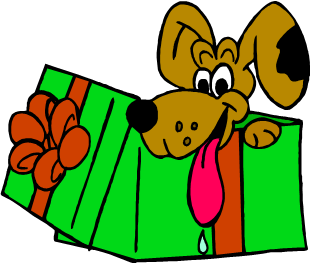 The Adoption Center suggests gift cards to enable getting needed items such as treats, durable harnesses or toys. Thanks to all of you and thanks to Fromm Family Foods. Time for a final dip of the toes, your dog’s toes that is. September 7th & 8th, 3pm – 8pm at the North Liberty Aquatic Center will be the 8th Annual Doggie Plunge. 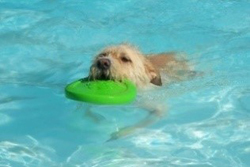 September 30th from 1pm – 6pm will be the Iowa City Dog Paddle at the City Park pool. Be sure to have proof of rabies vaccines for either swim. 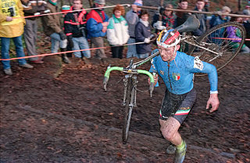 If you have never seen a cyclo-cross event now is your chance. The World Cup will be at the Johnson County Fair Grounds September 15-17th. This biking event is full out fun…riding, running and more. New this year is Doggie Cross sponsored by Nulo dog food. During the Doggie Cross you can run a shortened course with your dog. Buy a bag of Nulo with us & enter to win free tickets to the World Cup. 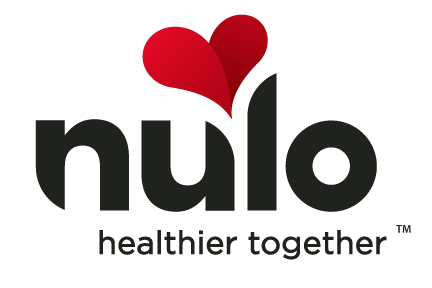 Enter the Doggie Cross for chance to win 3 months free Nulo food. Visit Maxx’s Doggie Cross for full details. Maui arrived at the Adoption Center from Texas. He will need to be treated for heartworms before he is ready for adption. 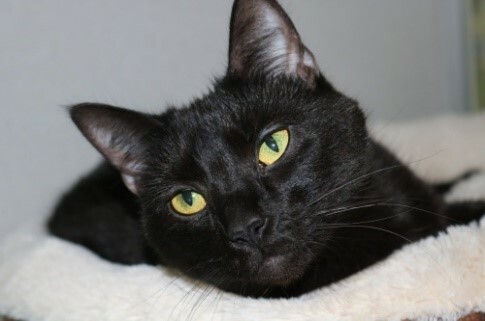 If you are interested in Maui, information is available through the Iowa City Animal Care & Adoption Center, call (319) 356-5295 or visit www.icanimalcenter.org to learn more about the animals at the Center. 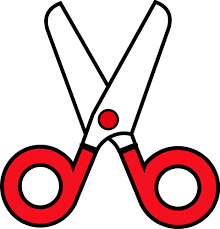 Leash on Life is happy to bring our quality products and personal service to your doorstep. We are now offering delivery service. We will deliver on Tuesday, Thursday and Saturday. Please contact us for more information or to place an order by calling 319-354-4334 , emailing orders@leashonlife.net, or visiting our web site. Serving the Iowa City, Coralville, North Liberty & Cedar Rapids areas. Keep your eyes open for our car zipping around town! Splish Splash Who’s Taking a Bath? Calling all dogs! 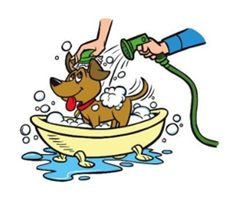 Leash on Life in North Liberty, will sponsor a dog wash in our parking lot on Sunday August 13th from 11am to 2pm. The wash benefits Iowa Humane Alliance, spay and neuter clinic. Mark your calendar now—and please bring your dirty (or semi-dirty) & friendly dogs on down for a wonderful shampoo. Bath and a nail trim, all for a $25 donation. Microchips will also be available for dogs for $25. What a fun way to spend the afternoon: your dog gets clean, someone else gets dirty. Don’t have a dirty dog and still want to get in on the good cause fun? Yummy root beer floats for $3 will keep you cool too. 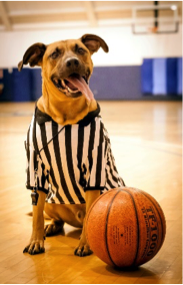 Make sure your furry friends have their current rabies certificate (tag is not sufficient) with them. Sandy is 3-6 years old. She is a silly mixed breed who is learning about the wonders of dog life. She is looking for a new forever home. Sandy is available through the Iowa City Adoption Center, call (319) 356-5295 or visit www.icanimalcenter.org to learn more about all the animals at the Center. Can’t ALL dogs swim? Years ago we learned, accidentally, the short legs of our Basset Hound Sadie are no match for a farm pond. Thankfully, we have float coats for pooches lacking even the most basic water skills. Their design provides buoyancy, safety and even advanced swimmers tire. Best to be safe when boating when waters get rough (ruff?). The luminescent colors are easy to spot in any lighting. And…..we have yet to figure out why Sadie took a long walk off a short dock. West Paw toys float your boat! All the West Paws toys float and are made in the US. Their discs, balls, bones and their other toys are perfect for water retrieval and easy to be add to your summer picnic basket. 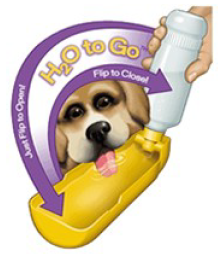 Don’t forget to bring along some clean drinking water for you and your pets. 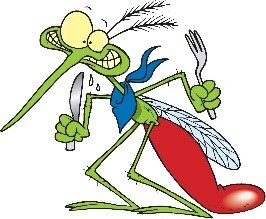 Biting flies, gnats and mosquitoes are a bother to all of us, dogs and cats included. Mosquitoes transmit heartworms to dogs and cats. Heartworm prevention is a must and only available from your vet. For fleas, ticks and mosquitoes, we carry Advantix spot-on for dogs, Advantage for cats and home treatment products. In response to customer inquiries, we now carry Wondercide spray for your pets and home. It is a natural repellant and insecticide for fleas, ticks, mosquitos and flies. If you use a spray-on bug repellent please remember that dogs and cats are extremely sensitive to DEET and may develop neurological problems from DEET. Pyrethrin, a chemical derived from the chrysanthemum plant, and its synthetic equivalent, Permethrin, are often used for insect control on dogs and horses, but cat parents should be very careful as Permethrin is dangerous for felines. 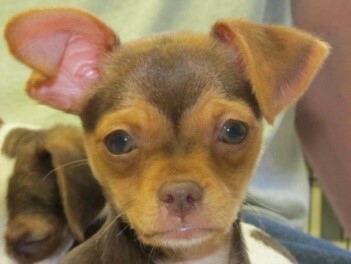 Daphne is a cute 3 month old gal. She is a Chihuahua mix and likes to cuddle. She has siblings available for adoption too. Daphne is available through the Iowa City Adoption Center, call (319) 356-5295 or visit www.icanimalcenter.org to learn more about all the animals at the Center. It is shorts and sandals time for us, but not your best friend. Imagine cooling yourself off only by panting, and imagine how hot your body temperature would be and how dehydrated you would become. For this reason, please carry water for your dog when you go on walks or the dog park. Leash on Life carries portable water bottles for your dog that hook on your belt for easy carrying. The Gulpy stores and serves water all in one easy-to-use bottle. The flip open/close design, also makes it very handy. 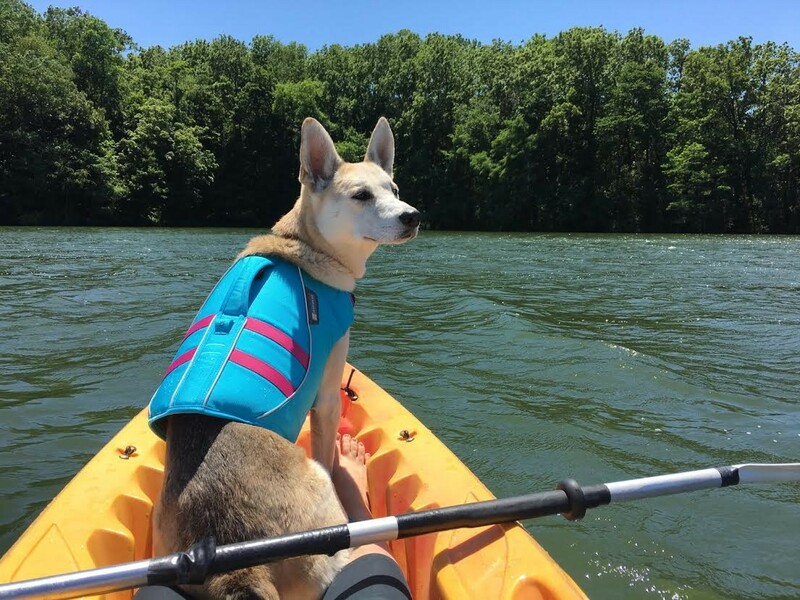 If you plan on traveling or walking with your dog, H2O is one item you don’t want to be without, particularly in the summer heat. If you already have a water bottle we also have collapsible bowls. Please remember, while your dog may enjoy an evening walk, most do not enjoy large summer festivals or firework displays. The pavement is hot on sensitive dog feet and the humidity effects them just as it does us. They may be better at home in the air conditioning. 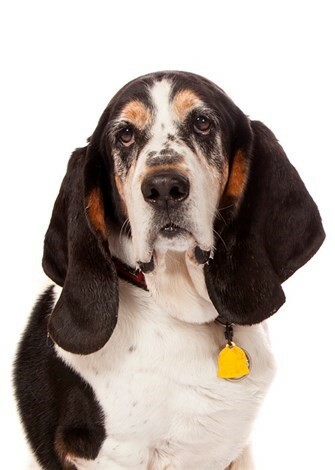 You can learn more about heat and your dog by checking out the “Dog Day’s of Summer” on our new web site! The term ‘dog days’ has nothing to do with dogs. 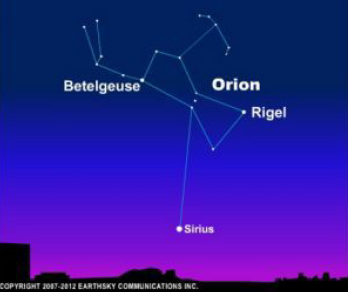 It dates back to Roman time s, when it was believed Sirius, the Dog Star, added its heat to that of the sun from July 3rd to August 11th, creating exceptionally high temperatures. The Romans called the period dies caniculares, literally ‘days of the dog.’ Not just a pretty light, the Dog Star is a symbol of power, will, and steadfastness of purpose, and exemplifies the One who has succeeded in bridging the lower and higher consciousness. 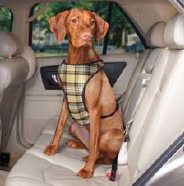 If you are planning on taking your dog on vacation (or anywhere), a car harness is a good safety idea. Not only does it help keep your dog from being thrown and injured if you were to be in an accident, it also keeps them restrained so they do not interfere with your driving. Not all of our pets are as good of a driver as Toonces was. Kennels also work well for safety for both dogs and cats. assist anxious situations. Treatibles contain a blend of phytocannabinoid hemp including CBD. 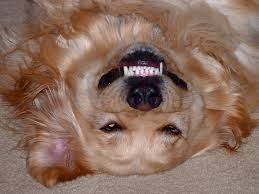 In addition to a calming effect there is anecdotal pet owner observations of help with pain and inflammation. Happy Traveler does more than make the ride go smoothly, it helps with any stressful situation. Herbal ingredients assist with stress and nervousness. Happy Traveler has the National Animal Supplements Council (NASC) seal of quality testing. 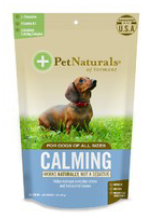 Calming Treats from Vermont Pet Naturals are NASC approved as well. These treats focus on B Vitamins and Colostrum to help manage stress. 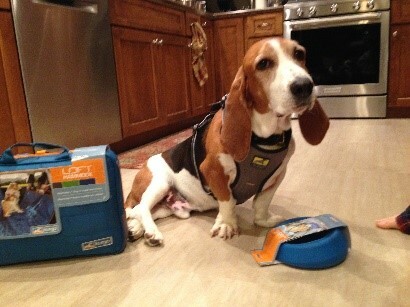 An option other than treats are Thundershirts™. Eighty-five percent of dogs (satisfaction guaranteed) show significant improvement with their anxiety symptoms when wearing their Thundershirt™. Experts such as Dr. Temple Grandin believe the gentle constant pressure has a calming effect on the nervous system. We also carry Thunderspray and other pheromone sprays and collars. 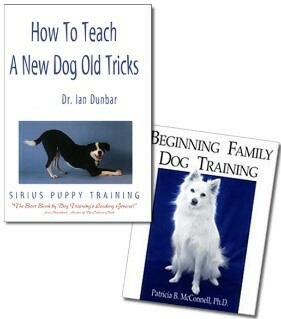 These work nicely in tandem when sprayed on the Thundershirt. 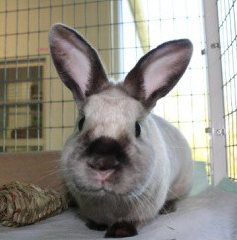 Thumper is a cute 2 years old fellow. Thumper is available through the Iowa City Adoption Center, call (319) 356-5295 or visit www.icanimalcenter.org to learn more about all the animals at the Center. 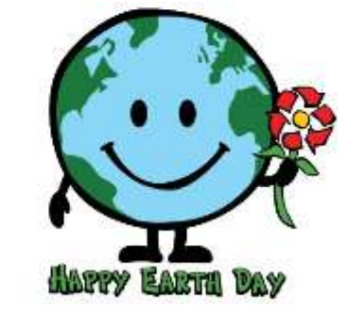 Earth Day is Saturday April 22nd, and we will be celebrating Mother Earth all month…and all year for that matter. Leash on Life has partnered with Fussie Cat food to offer reusable bags. They will be $0.50, and then we will give you a nickel back all year when you bring the bag back in to use. Just 10 trips to the store and the bag is paid for, and we don’t use plastic bags! Stop in April 15-23 for a week of sales and promos supporting our planet. Looking for a new gravy to jazz up dinner time? Super Gravy is just that, SUPER tasty and nutritious. Really easy to use…either sprinkle on top kibble and add water or mix it up in a jug ahead and pour on the food. Full of digestive enzymes and probiotics for better digestion with every meal, and great tasting to dogs or cats. Three flavors available to please any pallet. 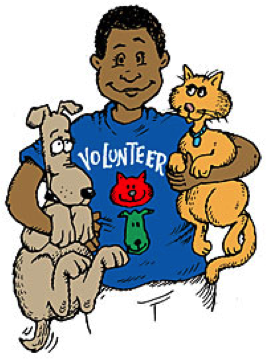 And in honor of earth day… If you are topping our kibble with canned food you will save on cans with Super Gravy. We will have it in stock April 10th. 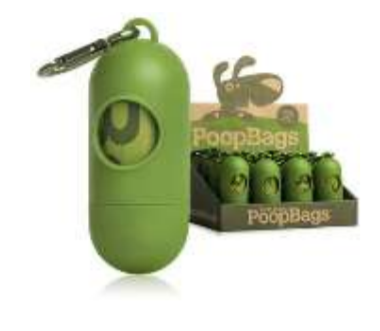 Earth Rated™ poop bags are degradable. Earth Rated™ takes that one step further, with packaging and center bag core made from recycled paper. Earth Rated™ bags come in three styles; regular, extra-large and tie handles and they are unscented or have a light lavender scent. All this just as the spring has finally arrived. There is nothing like being able to change the world one poop at a time. Theodosia is about 2 years old. She is looking for a new forever home. Theodosia is available through the Iowa City Adoption Center, call (319) 356-5295 or visit www.icanimalcenter.org to learn more about the animals at the Center.